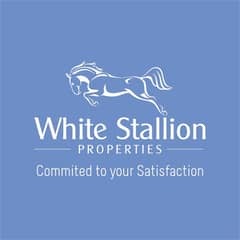 WHITE STALLION PROPERTIES presents you to view this Spacious One Bedroom Apartment in Dubai Sports City, Dubai, U. A. E.
It is one of Dubais most inventive designed structures with spectacular views of the central lake and urban skyline. It has been developed and designed by excellent architectures and finished to the utmost standard. The resort will plea to a wide variety of elite consumers including various high profile sports VIPs and personalities. It is also located within the Dubai Sports City and adjacent to the Cricket Stadium as well as very close to the entrance of the City towards the Emirates Road and just on the edge of the Golf Course.